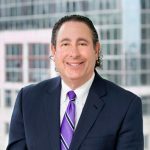 Radio Entrepreneur interview: RIW Trusts & Estates attorney Bill Friedler discusses his notable career, the entrepreneurial mindset, and the importance of Estate Planning. Radio Entrepreneur interview: RIW Trusts & Estates attorney Bill Friedler discusses his notable career, the entrepreneurial mindset, and the importance of Estate Planning. Listen to the full interview here. Watch part of the interview here.